The only reason you buy a Ram Truck is to go muddin’ right? SIKE! 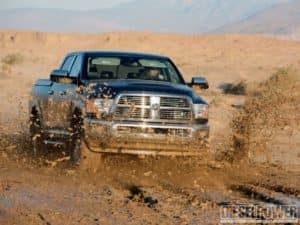 However, mudding is like a right of passage for your Ram truck. It’s a badge of honor you wear proudly. But if you leave the mud on long enough, it’s bound to ruin that pretty paint job. 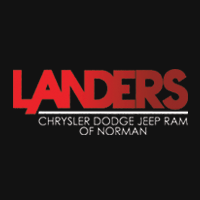 At Landers Chrysler Dodge Jeep Ram of Norman, Oklahoma, we love your truck as much as you do. Here are our top tips to keep your Ram truck looking pretty. Pressure Wash – Yes, we all know how fun mudding can be, but you must pressure wash it ASAP! Using a pressure washer is an easy and effective way to get the majority of the grime off. This helps to get those stubborn mud chunks off that could take multiple washes to do. Pro tip: don’t just pressure wash the body — make sure you spray under the vehicle as well! Wash & Scrub – After pressure washing your Ram, now it’s time to do a good cleaning. Make sure you scrub the grille, wheel arches, bumper — basically everything! Also use those soapy suds to wash the wheels while you are at it. Shine Baby Shine – Sure, you’ve done all the cleaning, but you want your Ram to shine. Take pride in your Ram truck and give it the glow it deserves! Grab some wheel and tire cleaner, and give it a coat of wax if needed. Wax on, wax off. Put that Armor On – This isn’t necessary but it will for sure make your cleaning process easier for your next adventure. Spray some Armor All around the body of your Ram, underneath and over the powertrain components. This won’t prevent your truck from getting muddy but it will make washing it off 10x easier next time! We sure hope these tips were helpful for cleaning off your muddy Ram truck. If you’re not a Ram owner yet we can help you out! Stop by Landers CDJR of Norman today!